When our skilled massage therapists provide you with much needed relief! Offering a variety of services to meet your specific needs! Special Occasions or Every Day! Give your loved one the gift that everyone enjoys! We take great pride in our office, location and services. Click here to get acquainted with Bay Massage & Skin Care through our image gallery. Call us at (206) 780-9121 today. Our friendly staff will make you feel like you’re at home. We use quality products and the latest therapeutic techniques to bring out your very best. Bay Massage & Skin Care promises to provide you with 5-star service that will surpass your expectations. 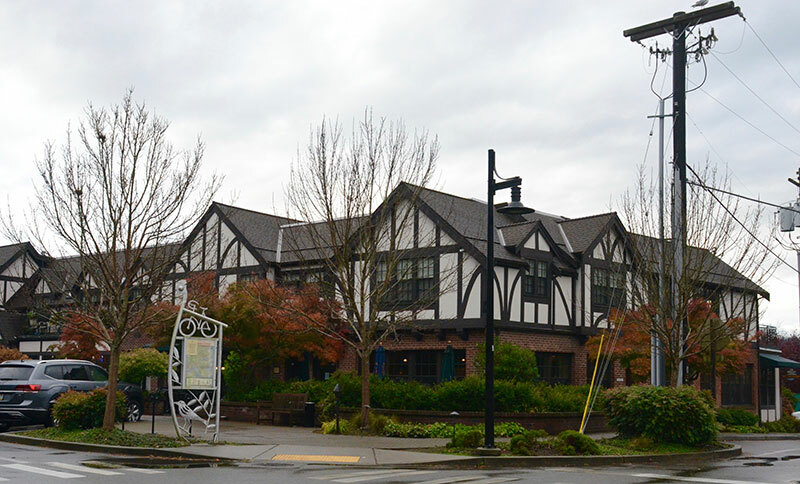 We are located at the south end of Bainbridge Island in historic Lynwood Center. All of our services offer both healing and relaxing benefits from our experienced staff! Bay Massage & Skin Care is pleased to now offer an online appointment system. This user friendly system will help you to choose a day, time and the service you want. We will confirm your appointment via e-mail and send you a reminder prior to your visit. If you have any questions or problems booking your appointment online, please contact us @ 206-780-9121. Here are some of the friendly faces you'll meet at our location. In 1997, Darlene received her skin care education through The Euro Institute after earning a Bachelors Degree in Business Admin. from Western Washington University. She immediately joined Kris Stapleton, a Licensed Massage Therapist on Bainbridge Island, to bring skin care services to Bay Massage. Darlene became a certified Dr. Vodder Manual Lymphatic Drainage skin therapist in 2010 and is a certified DermaplanePro technician. She is passionate about furthering her education. Jen received her training in 2004 from the Aveda Institute New York. Raised on Bainbridge Island, Jen is happy to be back and working in her hometown. In her free time, Jen enjoys spending time outdoors with her 6 year old daughter. Missy received her skin care education through the Euro Institute in 2010 after earning a degree in Community Health Education from Eastern Washington University. She joined Bay Massage & Skin Care in May of 2011. Having undergone rigorous treatment for adult acne herself, Missy is dedicated to helping others achieve optimum skin care health. She continues to receive training through the International Dermal Institute. Jessica has been a licensed massage therapist since 1998 and joined the team at Bay Massage & Skin Care in 2003. Jessica enjoys seeing the results that massage therapy offers her clients. She specializes in deep tissue and sports massage. She is a provider for personal injury insurance. Jessica continues to expand her knowledge in massage therapy through educational programs. Erin graduated from Port Townsend School of Massage in 2014. She continues to learn additional massage methods such as craniosacral and myofascial release. She specializes in Swedish Massage for complete relaxation and Deep Tissue to target problem areas. Erin believes the best massages integrate techniques which customize each treatment for optimal healing. Erin grew up in the Pacific Northwest and is excited to be part of the Bay Massage & Skin Care team! Lindsey graduated from Cortiva Institute Massage Therapy School of Seattle in 2016 and became certified in Cupping Therapy in 2017. During 2018, Lindsey lived and practiced massage abroad, providing her with a unique experience in working with a variety of individuals who lived and traveled through the country of Belize. She prefers to use a wide variety of modalities and tools throughout her sessions to achieve the end result her client is looking for. Lindsey is proficient in Swedish massage, myofascial release, neuromuscular techniques, and deep tissue. She has experience in pregnancy massage, sports massage, trigger point therapy, hydrotherapy, aromatherapy, and hot stone massage. She also has knowledge in injury assessment and treatment. "The entire place is extremely well appointed with comfortable furniture, soothing colors and music, no skimping anywhere. Both Darlene (my original facial person) and Missy, my most recent facial person, are beyond great. Seriously, the Signature European Facial - died and gone to heaven." "I requested a very specific massage for my hip & leg. Jessica did an excellent job using the right amount of pressure for a super therapeutic treatment. Jess, you have the heart & mind of a really fabulous therapist. Thank you!" "Missy brings an attention to detail to waxing that sets the industry standard! The greeting at the front desk is always warm. The staff is knowledgeable about products but never pushy. I love Bay Massage & Skin Care!" "It was a perfect 90 minutes in my otherwise busy day. Wonderful escape and love my skin!" "I have had 1,000's of massages and Erin is by far the best massage therapist I have ever experienced. She is very skilled and a delight to work with at every appointment." "Absolutely wonderful!!! Thank you so much for such a great experience and treatment. I can't wait for my next one :)"
"I am so pleased with how my Dermaplane treatment turned out. It was super relaxing and my face has never looked or felt better. I was just stunned when I looked in the mirror!" "Jen always delivers the best professional treatments. I love her gentle care and skin care tips I can use at home." Learn how to look and feel your best with these tips!